VICTORIA -- The Speaker of the British Columbia legislature alleges in a report that the clerk and sergeant-at-arms engaged in flagrant overspending, questionable expenses and inappropriate payouts of cash "totalling in the millions of dollars." 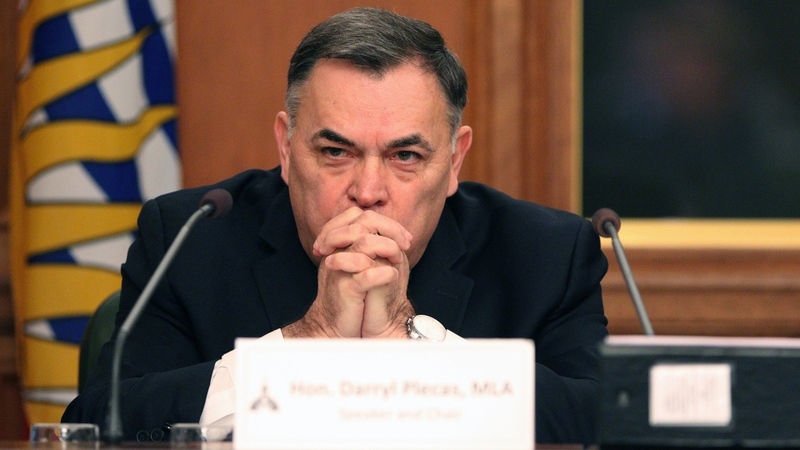 Darryl Plecas's report was released Monday after it was reviewed by members of the Legislative Assembly Management Committee. The report says that based on what he had seen and heard, Plecas believed there was a real possibility crimes may have been committed and he felt obligated to contact the RCMP. "Regardless of what happens in the criminal context, as a workplace and as a public institution, the legislative assembly needs to review and consider these matters, and determine whether it is more likely than not that conduct has taken place that is inconsistent with the duties of those involved and the reasonable expectations of the legislative assembly," Plecas says in his report. Sergeant-at-arms Gary Lenz and clerk of the house Craig James were suspended and escorted out of the legislature in November without any explanation. The RCMP later said it was investigating allegations against the men and that two special prosecutors had been appointed to assist in the investigation. None of the allegations have been proven. Lenz and James said in a statement Monday they are shocked by the report and the committee's decision to release it without contacting them for response. "We are only now able to read the allegations for the first time and we are confident that time will show that they are completely false and untrue," said the statement. "To be publicly accused of these things after months of secret investigation without being given any chance to respond is contrary to all principles of fairness and decent treatment." The report alleges overspending on luxury trips overseas with questionable business rationales; expensing of personal purchases to the legislature in the tens of thousands of dollars; inappropriate payouts of cash in lieu of vacation in the hundreds of thousands of dollars and instances where thousands of dollars of alcohol and equipment may have been misappropriated from the legislative assembly. 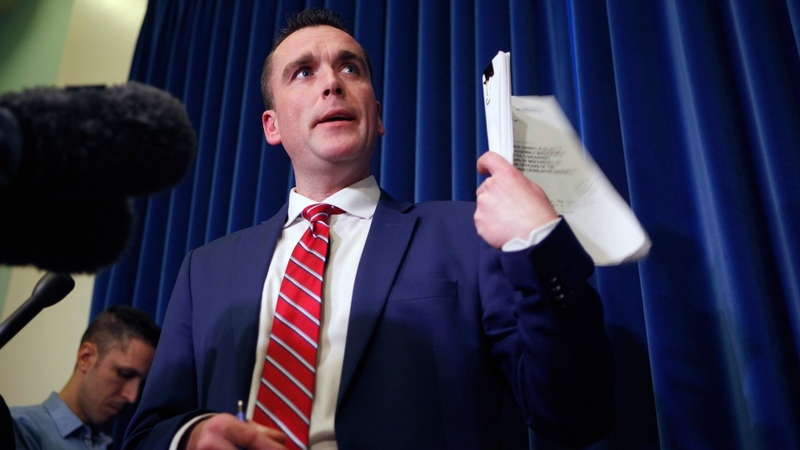 "These matters are not simply bare allegations," Plecas says in the report, adding they were based on his personal observations and interviews with others. The report alleges James instructed legislature employees to load his pick up truck in 2013 with $10,000 worth of alcohol purchased by the legislature. Another allegation says a fire-wood splitting device purchased by the legislature ended up at James's home where both he and Lenz used it to split wood, the report says. The committee voted to release the report Monday and agreed to launch an audit of legislature financial issues, conduct a workplace review and submit that report to an auditor from outside of B.C. The committee also voted to give James and Lenz until Feb. 1 to respond to the report. Plecas says in the report that British Columbia taxpayers deserve a legislative assembly that is accountable, transparent, efficient, fiscally responsible, and fair to its employees. It says the concerns in releasing the information involve whether making the allegations public would be unfair to the employees or problematic for the police investigation. Plecas said last December he would resign his position as Speaker if the public is not outraged over his findings at the legislature. He later said he welcomed an audit of the legislature's books, adding if the results did not spark public outrage to the point people would want to "throw up," he would quit along with his special adviser Alan Mullen. Plecas hired Mullen, a former federal prison administrator and personal friend, in January 2017. He also hired Wally Oppal, a retired judge and former B.C. attorney general last December, to offer legal advice. Lenz and James denied any wrongdoing at a news conference in Vancouver last November. They said they were humiliated after being placed on administrative leave and didn't know what they'd done to provoke a police investigation but they want their jobs and their reputations back. The Opposition Liberals had questioned the Speaker's handling of the suspensions, but Premier John Horgan expressed confidence in the Speaker. On Monday, Solicitor General Mike Farnworth said he was shocked and saddened to read the report. Farnworth is one of four New Democrats on the eight-member committee. "I think a lot of what I saw in it is just unacceptable," said Farnworth of the report. "I think the general public would look at it and say, 'That's just wrong.' "
Liberal House Leader Mary Polak, one of two Liberals on the committee, said she has been waiting since last year for Plecas to make his concerns public. "We're pleased to see the public finally has some information to look at," she said. "It's very concerning what we see in terms of the allegations around expenditures." Green party Leader Andrew Weaver said his caucus fully supports the committee's Legislative motions. "The report released today makes serious and shocking claims that have significant implications for public trust in our democratic institutions," he said in a statement.